What could have been a sad situation for a former military administrator of Lagos state, Buba Marwa, was prevented by security operatives attached to President Muhammadu Buhari when some aggrieved youths tried to attack the ex-Lagos administrator. The security operatives prevented the youths from attacking Marwa at the presidential rally of the All Progressives Congress (APC) in Adamawa on Thursday, February 7, The Cable reports. 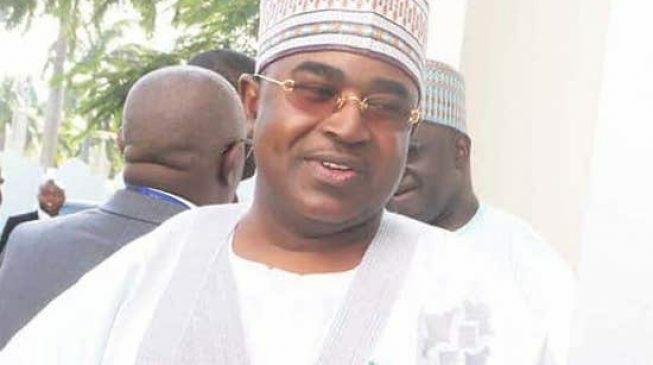 Hope For Nigeria gathers that Marwa was accused of saying some uncomplimentary things about Governor Mohammed Bindow of the state. The duo belong to different factions of the APC in Adamawa state. The angry youths were said to have been pacified by President Buhari, who directed security operatives to whisk Marwa from the venue of the exercise. At the rally, President Buhari told the crowd that promises made in 2015 had been fulfilled by his administration. Meanwhile, Hope For Nigeria previously reported that renowned human rights lawyer and secretary of Forward With Buhari (FWB), Dr Kayode Ajulo, declared that the All Progressives Congress (APC) presidential candidate, President Muhammadu Buhari would win in over 30 states of the federation in the February 16 poll. Dr Ajulo gave the assurance in an interview with journalists recently based on what he called his predictions on well-researched information gathered on the field ahead of the 2019 general elections. FWB had earlier explained that its formation was aimed at checkmating vote rigging across the nation in the 2019 presidential elections, claiming that President Buhari’s main challenger, Atiku Abubakar, would not win even in his home state of Adamawa. When asked about how many votes the group intends to garner for the incumbent president, Ajulo said: “We intend to give Buhari maximum votes, what distinguishes us is that as an independent campaign group, our members cut across the various parties and interest groups and with the coordination of the governors as inspired by Governor Abdulaziz Yari of Zamfara state, we have penetrated all the 36 states, 774 local governments, 8, 809 wards, and the entire 119, 973 polling units in Nigeria.